Deb 4 Disney: Day 1! It's here!! 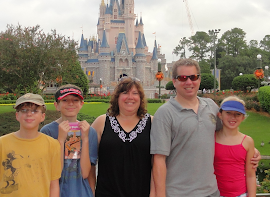 My first official blog entry to kick off Deb 4 Disney! I hope this will become one of your favorite sites and you will visit often so we can talk about all things Disney!! But what to discuss today? There are so many things I want us to chat about that it's hard to think of the perfect ice breaker. So let's keep it simple... Who's your favorite Disney character? Eeek! Picking a favorite may be simple but it sure isn't easy for me! For the part of me that so admires Walt Disney, it would have to be Mickey. For the mother in me, it would have to be Eeyore. For the princess in me it would have to be Belle. And for the mischievous side of me, it would have to be Maleficent!! Gaston definitely comes to mind first... with Grumpy being a close second. You must be quite the Disney fan to know that one!!! Ya, when I was a kid I never used to miss a single episode of Duck Tales, TaleSpin & Jungle Book. They used to air it on national TV every Sunday Morning. The guy with the hairy leg on the bridge in the Pirates of the Caribbean ride...he's my favorite. The guy is totally c-list, but he's always on my mind. Seriously. How did that guy pop into my head as soon as you asked this question? Sorry, Disney Therapy is an extra fee! 5 Gold stars for originality and thinking outside the box!